Urban Decay has released another Naked palette and I swear the buzz around each new one gets bigger and bigger. LOL I already have the first 3 Naked palettes and find that Naked 1 and Naked 2 suit me the best while Naked 3 was way too rose/pink for my taste. This newest launch called Naked Heat came at the perfect time since all the colors are reminiscent of summer. 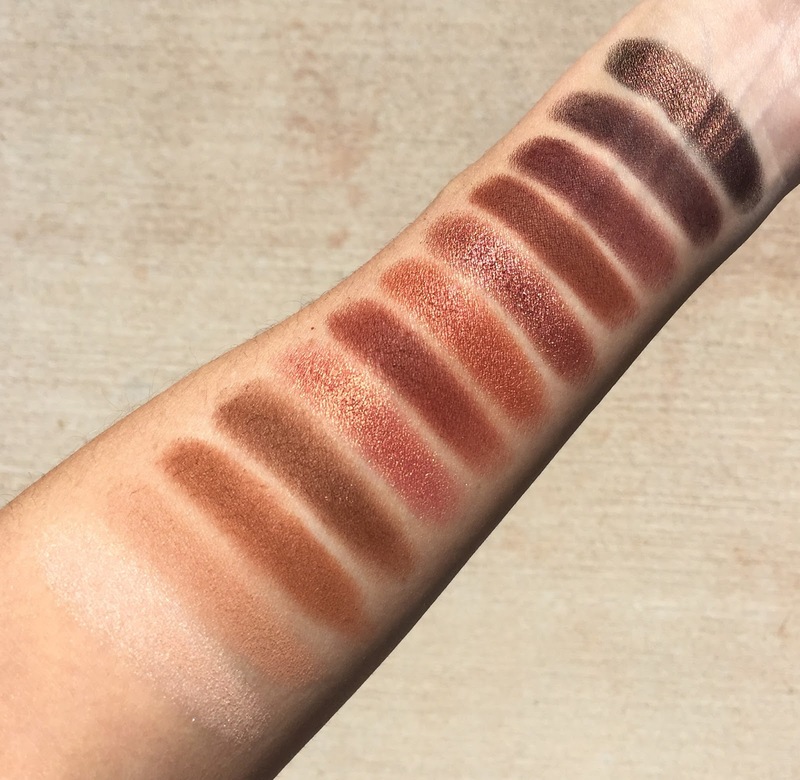 As you can see from the swatches above, the color payoff is what you expect from a Naked palette. It's a medium pigmentation with only a bit of fallout when applying. 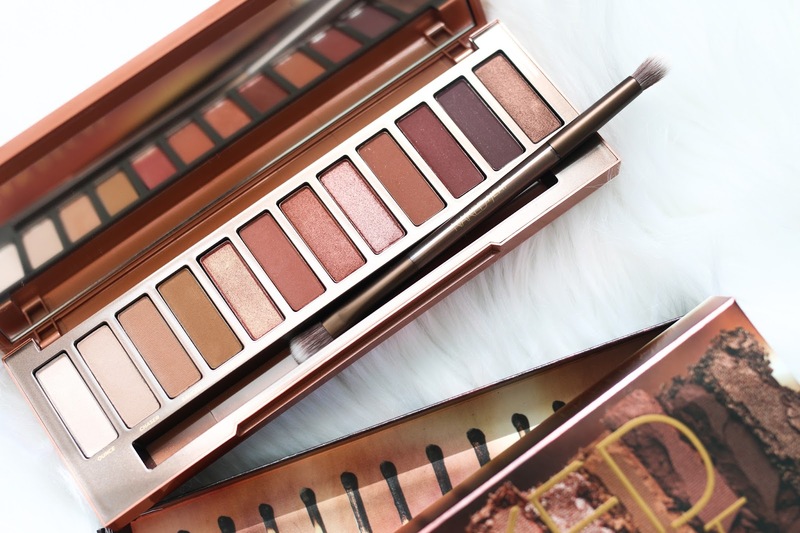 While I think this palette will be a hit with tons of people especially because of all the gorgeous warm bronzy tones, this one is sadly not for me. With my pale skin the colors skew very orange on me and most are darker than I would wear on a regular basis. And there is only one pale color while the rest are shades that I would wear for an evening out. But though it's not a fit for me, I highly recommend it for those with a darker or more olive skin tones. With a gorgeous mix of matte and shimmer shades mainly in the bronze, gold and copper families, I think this palette would be absolute perfection. That's how I felt about it, I wear lighter or more taupey colors so I don't need this, I do have the Anastasia Modern Renaisance palette for the rare times when they strike me and I want to go warm.